We Read It So You Don’t Have To. We regularly look at new books on technology or organization. 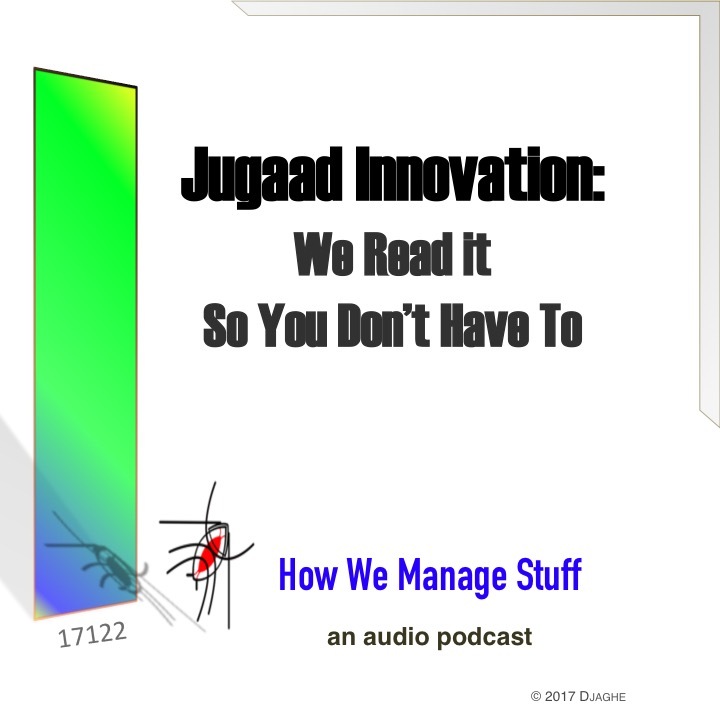 Today, we look at an Indian book on Jugaad Innovation and ask “How is it really different from an American book?” Jameela, our Bangalore Office Manager, as always, has ideas. Lots of ideas.